Guidance issued by the Office of Management and Budget in its “super circular” addresses a dilemma that has been challenging federal grant recipients and auditors for more than two decades: What kind of relationship is formed when the recipient enters into an agreement with another organization using federal funds? What the organization receiving the funds is called is certainly important. But OMB makes it clear that everyone involved should be far more concerned with what is actually going on inside any agreement between the “pass-through entity” and a “lower-tier” organization. OMB attempts to address that issue by outlining characteristics that are “indicative” of each type of relationship. Some of the characteristics have been stated in federal policies before. But OMB has beefed up the guidance in a new key section on subrecipient management and monitoring. And, how the policies are employed have all sorts of implications for pass-through entities, subrecipients, contractors and independent auditors. What does OMB mean by an “assistance” relationship? What does it mean by a “procurement” relationship? What applicable program requirements actually serve to create a subrecipient relationship? Which applicable federal requirements have to be included in a contractor relationship? What’s significant about OMB’s word changes in the instrument-selection guidance? 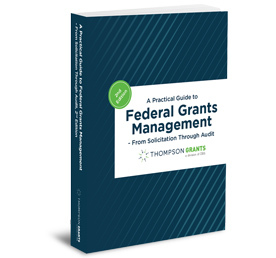 What role do federal awarding agencies have in the decision-making process? Does it really matter what types of organizations are involved in the relationship? How do factors like project design, conduct of competition and award “pricing” affect decisions? What are the consequences if an incorrect decision is made? Are there ways to challenge pass-through entity decisions? After a correct decision is made, what does a sound agreement look like, and what type of oversight is expected? What is the role of independent auditors in the decision-making process?